Each dress begins with a top and empire waisted flared skirt with belt. 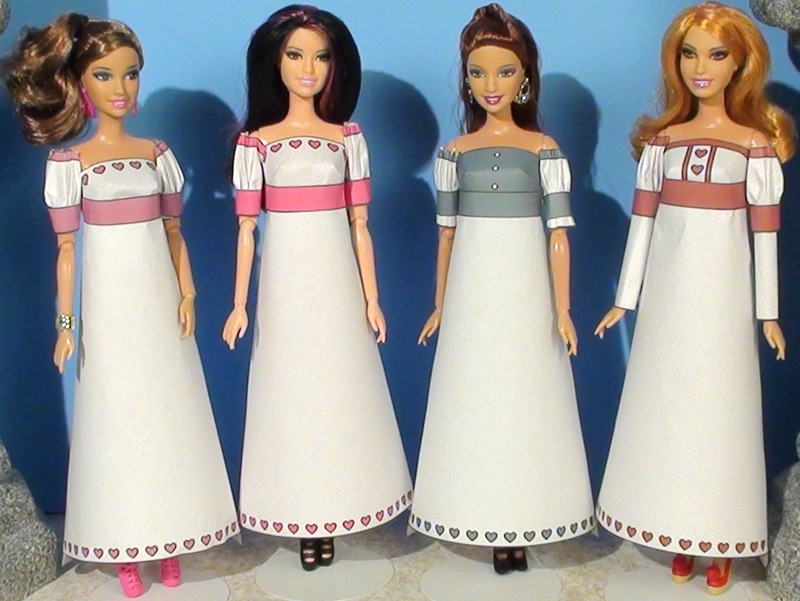 From left to right, Teresa and Raquelle have puff sleeves. The doll in blue from the Barbie I Can Be Fashion Model Giftset has middle puff sleeves. Summer has straight sleeves with a puff sleeves added on top. 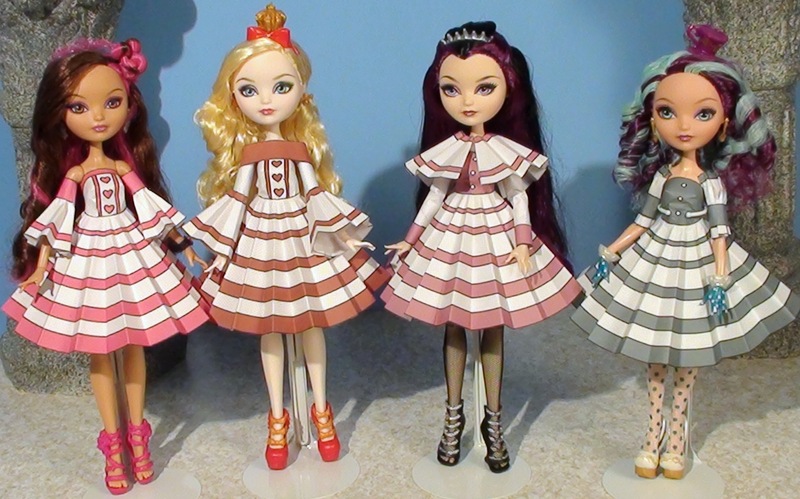 Each of these dresses modeled by Ever After High dolls, begins with a top and a circle skirt. Briar Beauty has cap sleeves with half circle sleeves around the bottom. Apple White has a combo sleeve (straight sleeves plus half circle sleeves) and a wrap around collar. Raven Queen has straight sleeves (with a strap band around the bottom) and a cape. Madeline Hatter has middle puff sleeves. 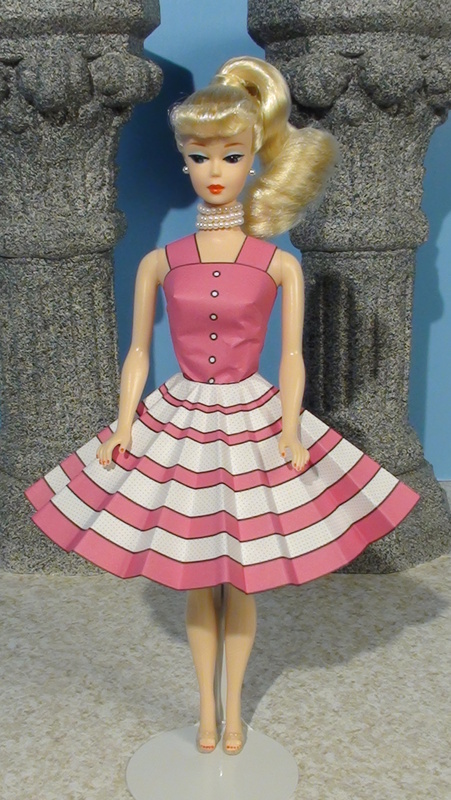 Enchanted Evening Barbie has a top, circle skirt, and shoulder straps. 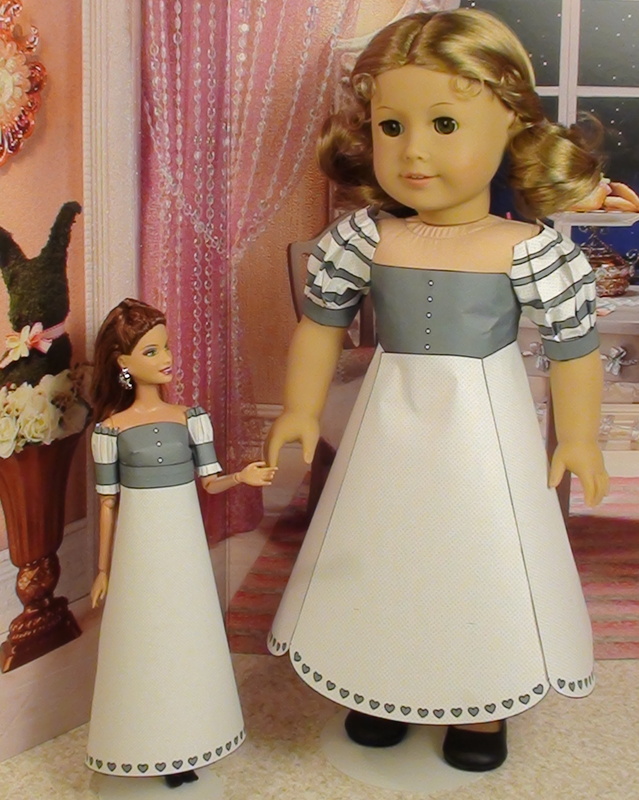 For details on how to make this dress for an American Girl Doll go to my page here. 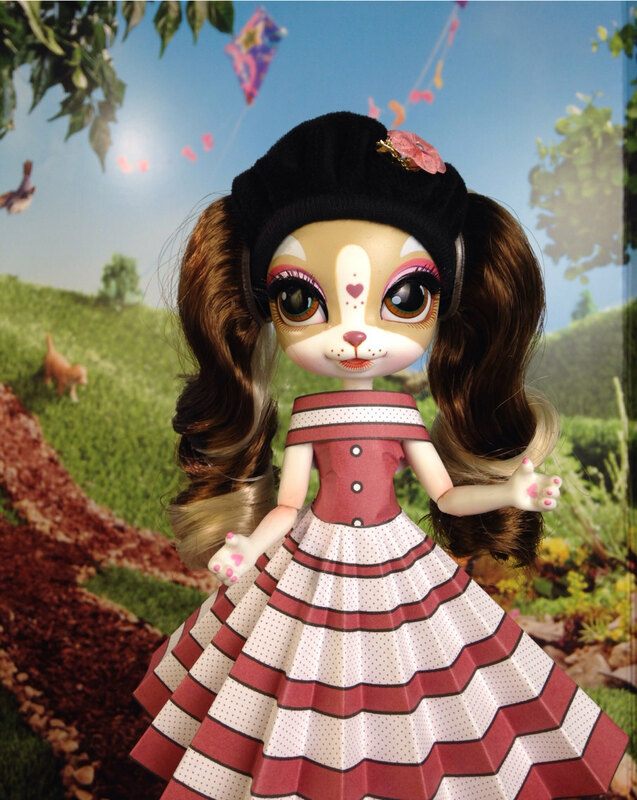 Pinkie Cooper is wearing a top, circle skirt, and wrap around collar.